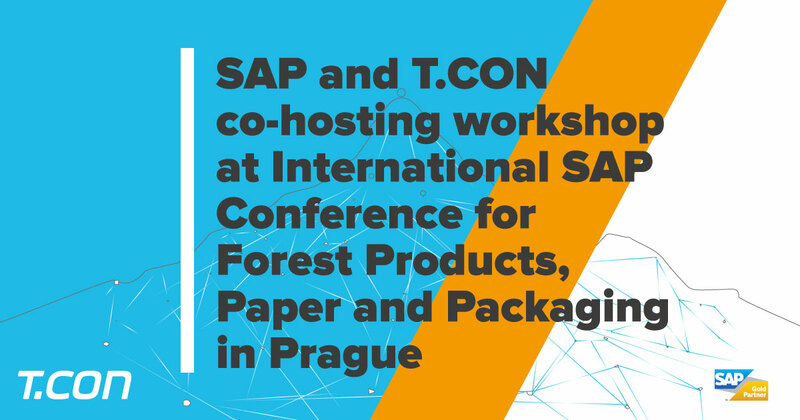 /ins As an SAP gold partner, T.CON is platinum sponsor of the upcoming International SAP Conference for Forest Products, Paper and Packaging 2018, taking place in Prague, October 16-18, 2018. This conference is the largest SAP event of the paper and packaging industry and the only customer-centric event of its kind globally. Contributing to this global event for the mill industry in numerous ways, T.CON has been working around the clock to bring the latest SAP advancements to the mill products industry. The cutting-edge solutions T.CON’s experts developed using SAP technology will be available at the International SAP Conference. Visitors will learn how to set new standards in terms of productivity and efficiency in production. Tailored for the specific needs of the mill process industry, T.CON will show companies how to reach new heights of Smart Manufacturing. "We enable our customer to gain full transparency of their production processes at their fingertips, so they can focus more on achieving their business goals," says Bradley Robb, International Business Developer at T.CON. At the customer presentation, “The digital future: a roadmap to operational excellence,” participants can learn based on firsthand experience from T.CON's customer Model AG. Sharing their best practices, visitors can learn how Model AG is now equipped for the digital transformation. In the “Top Floor to Shop Floor – Smart Manufacturing in the Mill Industry” presentation, Karl Fuchs (Managing Director, T.CON) and Thomas Blöchl (Business Unit Manager MES | Member of the Board, T.CON) will outline how to ease the path to Smart Manufacturing. Maximizing manufacturing productivity with a digital twin, optimizing the entire production chain and the steps to operational excellence through real-time KPIs are just some of the highlights. Industry leaders rely on T.CON to build the future of their business. Conference attendees can see T.CON’s best-in-class solutions in the presentation “T.CON Smart for Mill -- 5 key elements of a sophisticated manufacturing solution,” which enable customers to achieve smart manufacturing. T.CON is known for its expertise in SAP solutions and has many years of experience working with companies of any size to implement SAP solutions and develop state-of-the-art software solutions. Come to the International SAP Conference for Forest Products, Paper and Packaging and see all what T.CON has to offer to make the most out your business.